Shed on the Fell has teamed up with Shruti to bring you the Country Animals Collection. Stags, hares, hedgehogs, pheasants and Highland Cows have been lovingly designed by artist Laura Brown. Available now as bone china mugs, purses, coasters and comfy cushions. 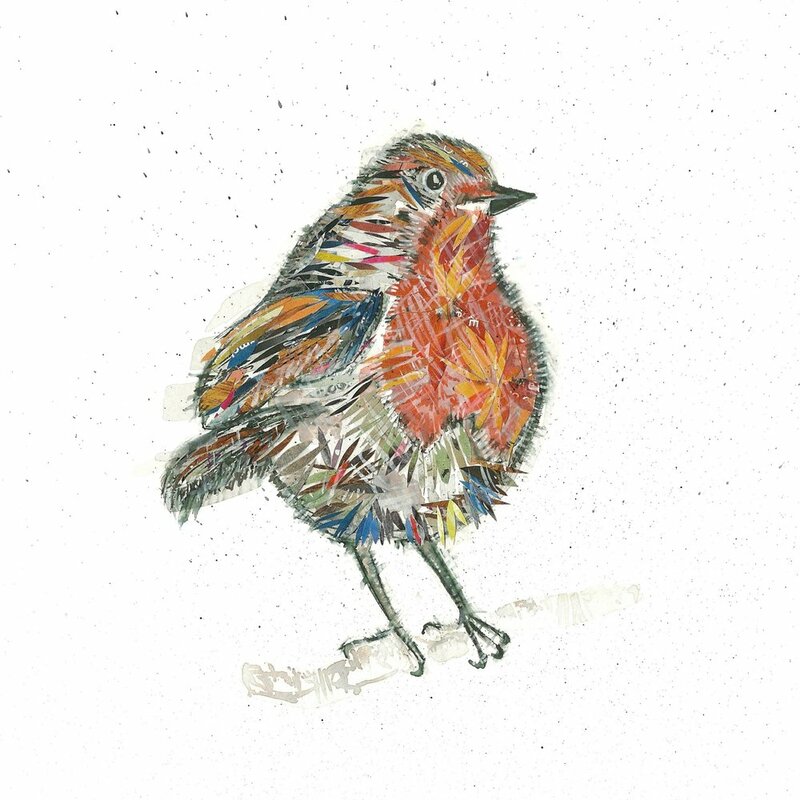 Artist Laura Brown creates images of British Wildlife from Lancashire’s Ribble Valley. Prints, cards and commissions available. Here at Shed on the Fell we have a passion for embracing the beauty around us and sharing it. Our images champion the best of British wildlife in prints and greeting cards. Laura Brown creates unique, original artworks; collages layered on ink sketches that bring the spirit of the fells into your home. 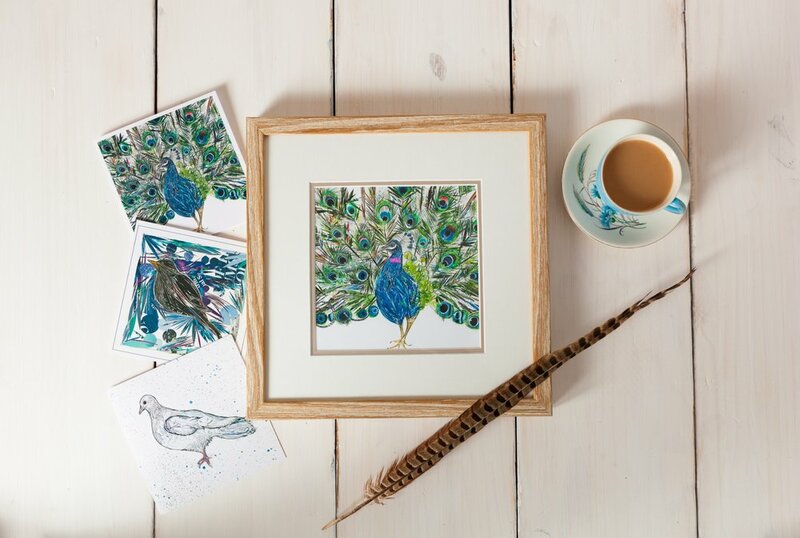 These stunning limited edition images from artist Laura Brown capture the best of British wildlife. Beginning life as an ink sketch, each artwork is then meticulously layered with paper-cuts to create a truly unique addition to your house. Locally printed on top quality 285gsm PermaJet Portrait White fine art paper, available in a variety of framing options. Hang some wilderness on your wall. Choose our beautiful greeting cards to mark the moment with your loved ones. 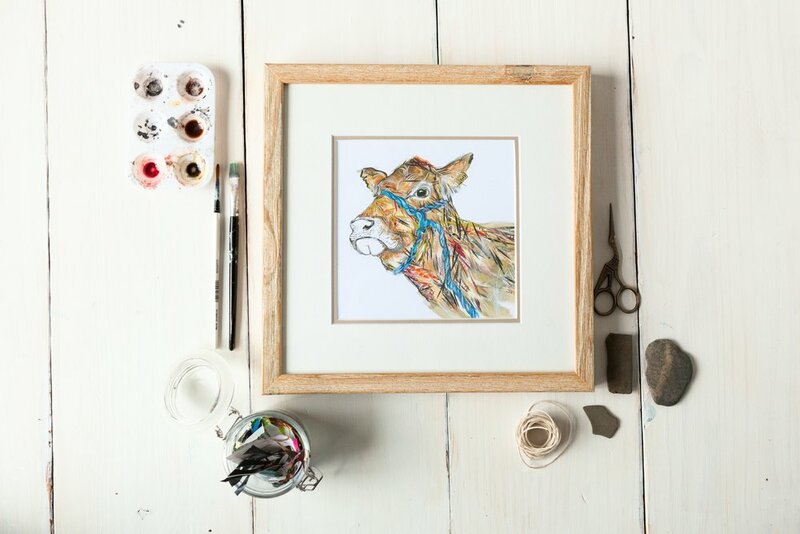 Individual, handcrafted images from artist Laura Brown are the ideal choice to show you care. Professionally printed in our Ribble Valley hometown onto high quality 350gsm uncoated artboard, our cards are left blank for your own personal message. Greeting cards full of good nature. Announcing our new Homeware range! We respect your privacy. Your email details will not be shared with anyone and you can unsubscribe at anytime.